‘Rose’ being a word synonymous with romance, has bloomed brilliantly in the industry as just a flower. However, like all things natural, its hidden beauty lies in its astounding properties… The AFZAL Ruhul War’rd Eye Drops contain pure rose extracts to enhance and clear your vision. With the world leaning more towards natural healing remedies, one of the most frequently discussed buzzwords is ‘Neem.’ Azadirachta indica is a tree with astounding healing properties for skin, hair and overall wellbeing. 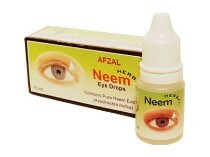 At AFZAL, we’ve looked closely at Neem’s healing properties relating to eye care and have found that the benefits should not be exempted from our market. From the fruits of the Argan tree endemic to Morocco stems AFZAL’s Argan Herbal Hair Oil. Enriched with a myriad of vitamins and antioxidants to help repair damaged hair caused by colouring, treatments, tools and harsh sun rays etc. Hair care can be a daunting activity requiring time, money and energy that could otherwise be used more productively. 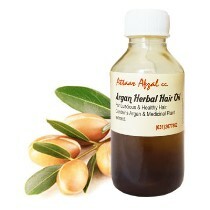 The Argan Herbal Hair Oil is the natural remedy to all hair related issues. Disclaimer: The information presented on this page is intended for informational purposes only and is not a means of diagnoses, treatment or intended as medical advice. Kindly consult a medical professional for pre-existing conditions and advice.